I’ve got a bit of a confession. 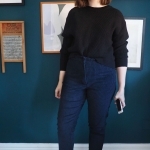 I’ve got quite the stock of handmade jeans now – Gingers, Safrans, more Gingers – but they don’t tend to get worn as often as my trusty RTW pairs. The reason was always they they felt too crispy-new, too uniformly-coloured, with none of that lovely age (or slightly less lovely artificial ageing/distressing) of my favourite vintage or store-bought pairs. So why did nobody tell me how fast and easy it was to get a lovely soft, faded, subtly-patina’ed finish on brand new handmade jeans, with nothing but a bit of sandpaper and five minutes of elbow grease? 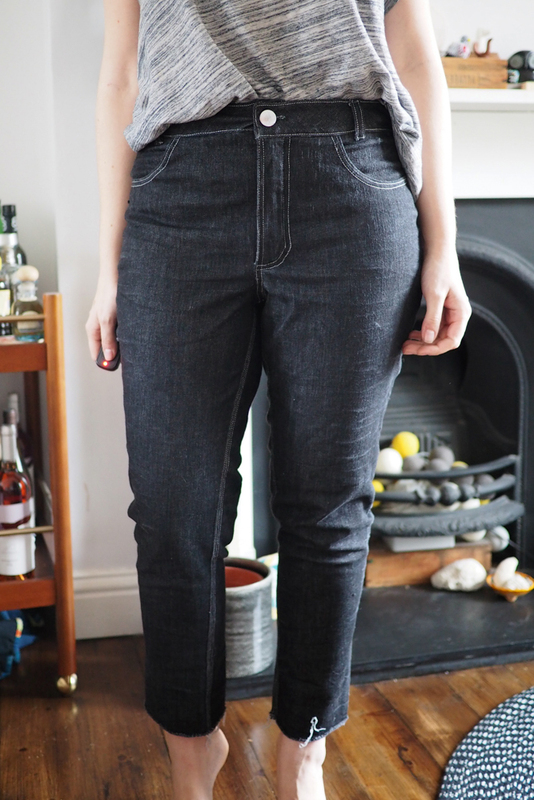 I’ve just turned three pairs of handmade jeans from meh to dreamy in a weekend. Here’s how I did it. I got some fairly heavy-grade sandpaper out of our DIY cupboard and wrapped it around my hand. A sanding block would probably do the trick, too. I put the jeans on and simply started buffing away at the areas I wanted to fade and distress. 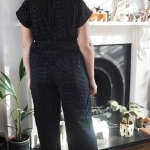 I started around the front pockets, fly and waistband, then took long strokes down the inseam and outer seams. Then I crouched down (this is where you start to feel pretty silly) and rubbed the paper down my front thigh, down to the knees and calf. 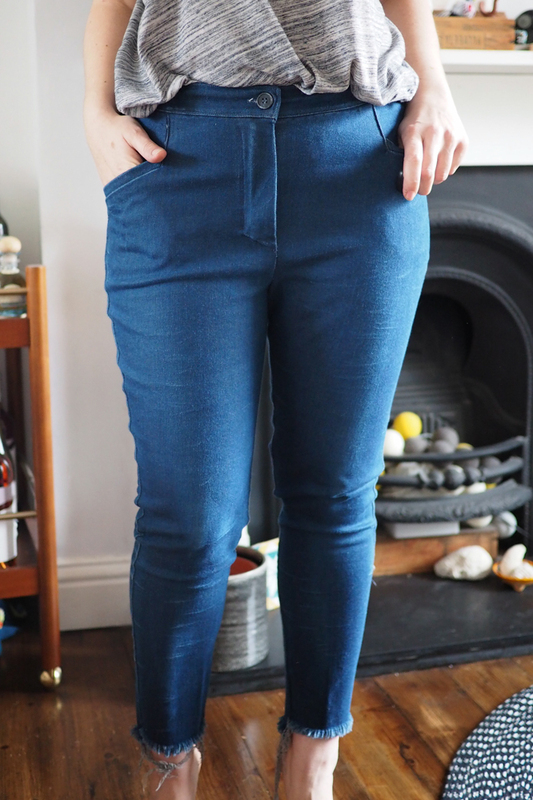 Finally I took it over the back waistband, back pockets and centre back seam. The trick is to start with a little pressure and build it up. Hold the fabric fairly taut where you want a smooth fade and let it wrinkle and bunch a bit where you want whiskers to form. You also may want to put some paper or plastic sheeting down before you start as you’ll get indigo ‘rubbings’ falling off. 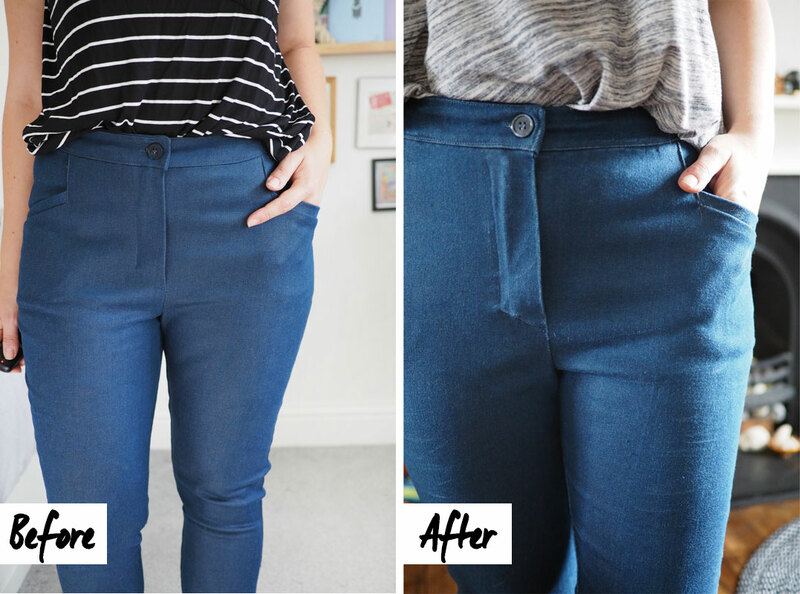 Finally, you can take the jeans off, check over for any bits that don’t feel uniform and scrub away a little more. 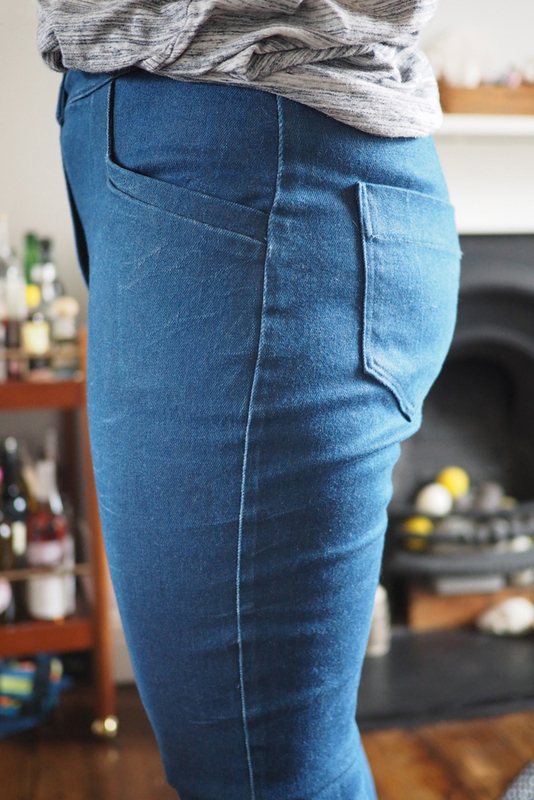 I hung the jeans over the edge of my ironing board or over a tailor’s ham for this bit. Here’s the same thing on my Cone Mills denim Gingers. 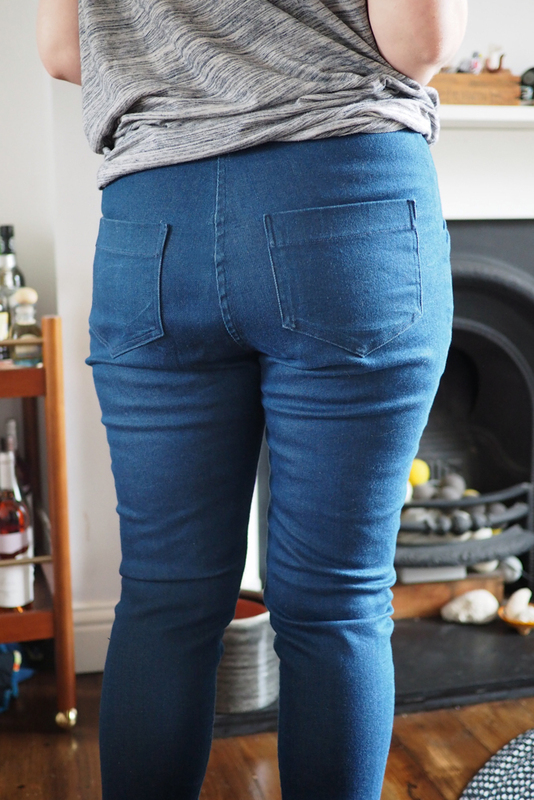 This effect might not be for everyone, but I know I’m going to get a lot more wear out of these jeans now they feel soft and worn-in. Good idea! I remember doing this years ago on a rtw pair with a friend. A cheese greater is great for putting in rips too. 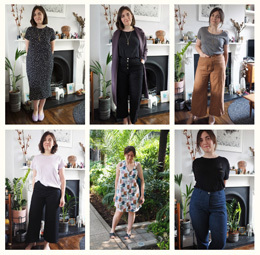 wow really great way to look perfect.I liked it and would go for it for sure.I love sewing and like to sew perfect outfit. This article gives good and fast solution. I love that you posted this. I have TUBS of denim! 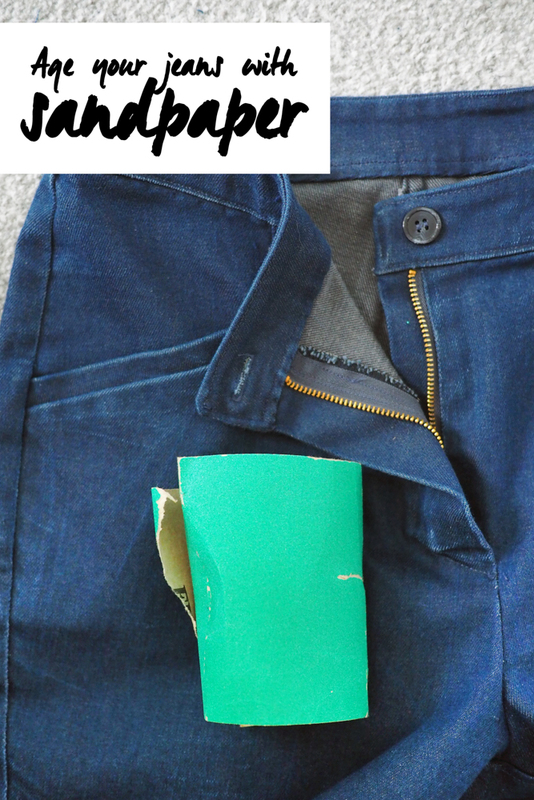 I absolutely cannot throw away my families worn out jeans. 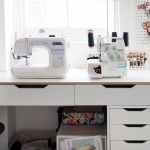 I just know there is some amazing sewing project out there to use it all up eventually. This gives me and my daughter some amazing ideas to work with!!! Thanks!